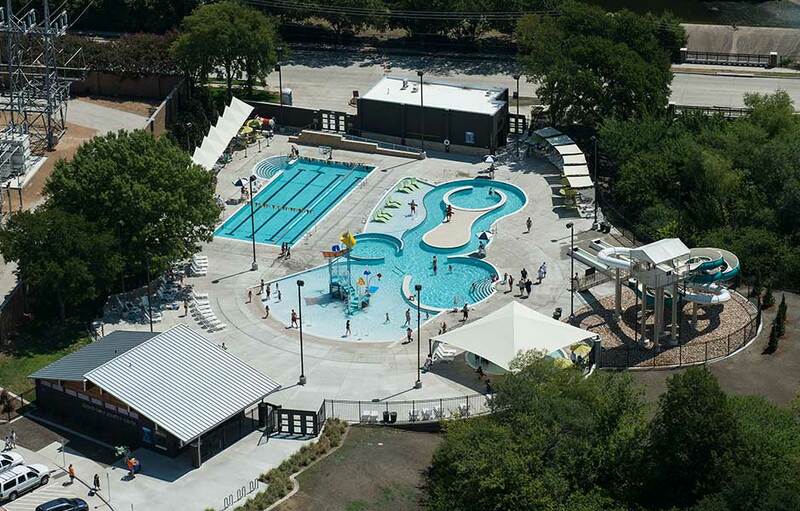 Built to compliment the new Heights Recreation Center, this aquatic facility was built with a retro color scheme. 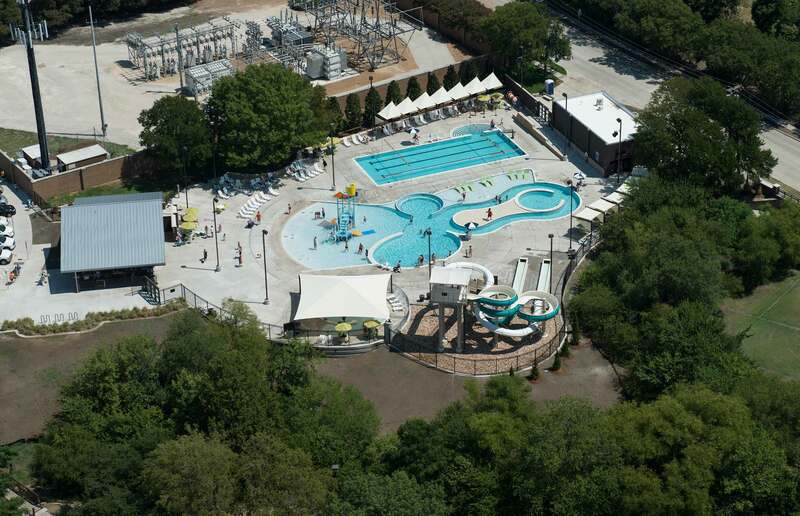 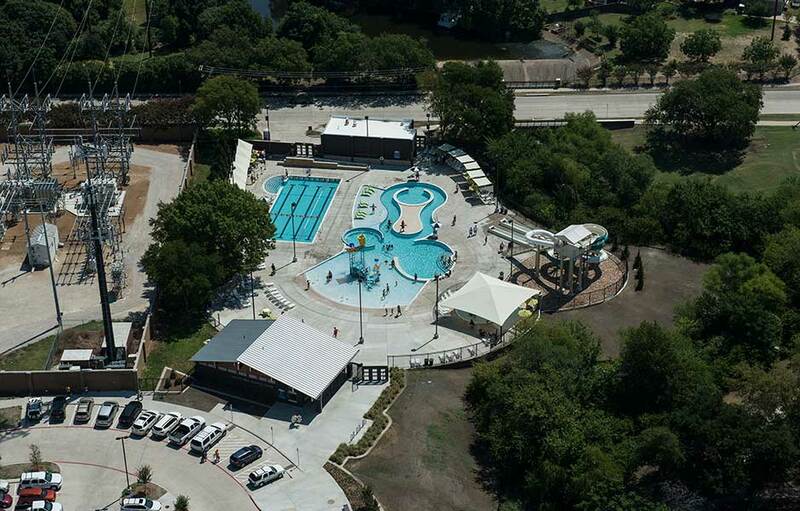 A leisure pool with a play structure and lazy river are the focal point of this aquatic park, while a 6 lane lap pool and a slide structure offer various ages more are to play. 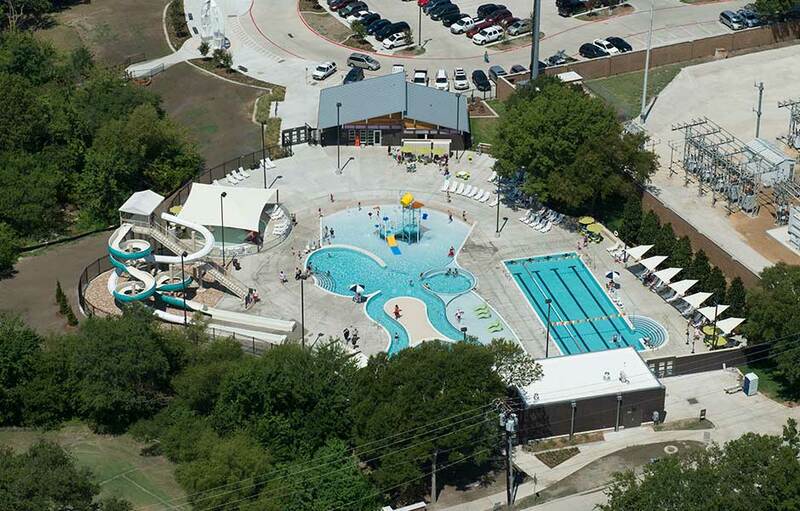 The toddler pool is shaded with several interactive toys insuring that all age groups are properly represented in this state of the art facility.